chalait, an og of the nyc matcha scene, is closing their west village outpost at the end of the month. learning about chalait’s closure was particularly sad for me, because this space is a part of one of my favorite escapes – the west village trifecta. with one piece of my beloved trifecta closing in a few weeks i debated publishing this piece. should i post about a love triangle that will no longer be? is two weeks enough time for people to enjoy the trifecta that will soon cease to exist? ultimately, i decided to post this piece as an ode to this vibrant trifecta. 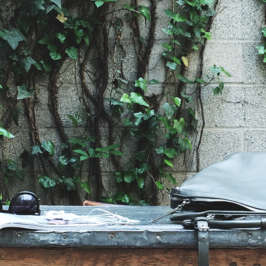 the one that i’ve loved so dearly and embodies so much of what it means to escapeyourdesk. so long for now, west village trifecta; i thank you for your memories. notice: you’ve got less than two weeks my friends. 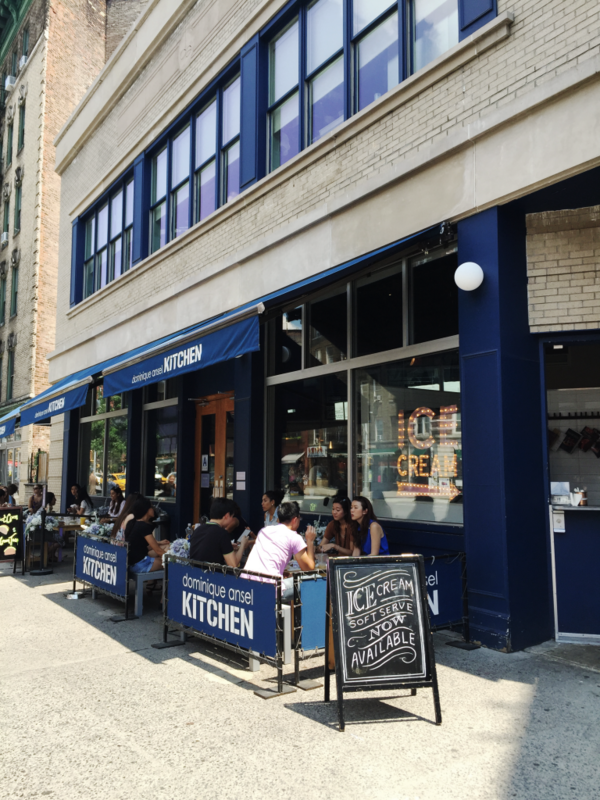 less than two weeks to experience the complete west village trifecta. thanks for the memories, chalait. 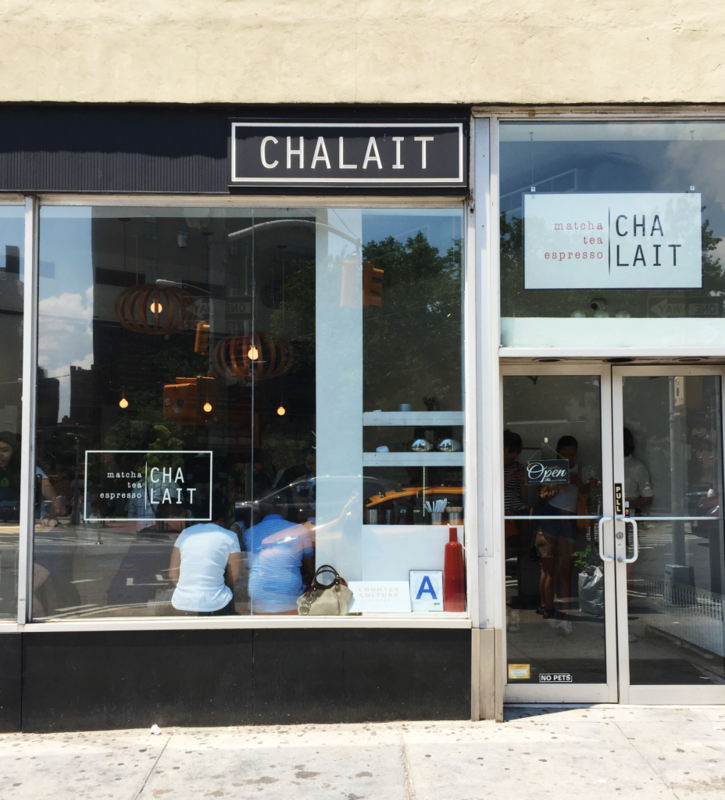 to ease the pain, chalait will be opening up two new locations: one in the nomad neighborhood (on july 30th) and another inside chelsea market (tbd). their original location, at the convergence of christopher and w4th, will no longer exist come august, but the space’s design and decor will live on as a classic example of #whywhiteworks. disclaimer: the below was written prior to learning about chalait’s move. i decided to keep the story the way i originally wrote it, so that these memories would remain frozen in time. to know the west village is to love the west village. unlike the rest of manhattan grid, the west village is a magical maze of the most charming historical streets. 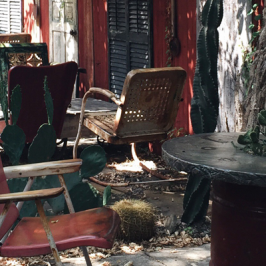 no lie, it’s quite likely that you’ll feel like you’ve traveled back in time. if you’re in town for a visit and you’ve got the time, i suggest wandering with the intention of getting lost. 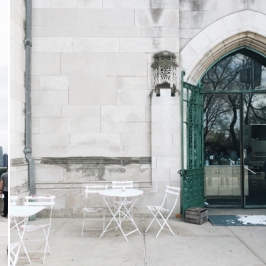 between gawking at the brownstones, popping into the shops, eats and coffee, you’re bound to run into one of the village’s many hidden gems. walk along bleeker and greenwich and you’ll find your heart aching for its quaint charm, you’ll feel as if you’ve traveled back in time. i’m 99.99% sure that this trifecta was not established on purpose, but man oh man am i thrilled it exists. if i’m in the mood to treat myself, i almost always hit up the trifecta. if you look on a map, you would see that chalait, dominique ansel kitchen and toby’s estate coffee neighbor one and another, and by cosmic chance their location points align in the shape of a triangle. these three places are each spectacular in their own right, but if you enjoy them together they are the perfect escape. the best way to describe the trifecta is as a serendipitous experience that engages and pleases each and every one of your senses. there’s truly something for everyone, and i invite you to take a few hours and escape to the west village. you’ll find your first destination, chalait, situated on the north west corner of 7th avenue and 4th street. 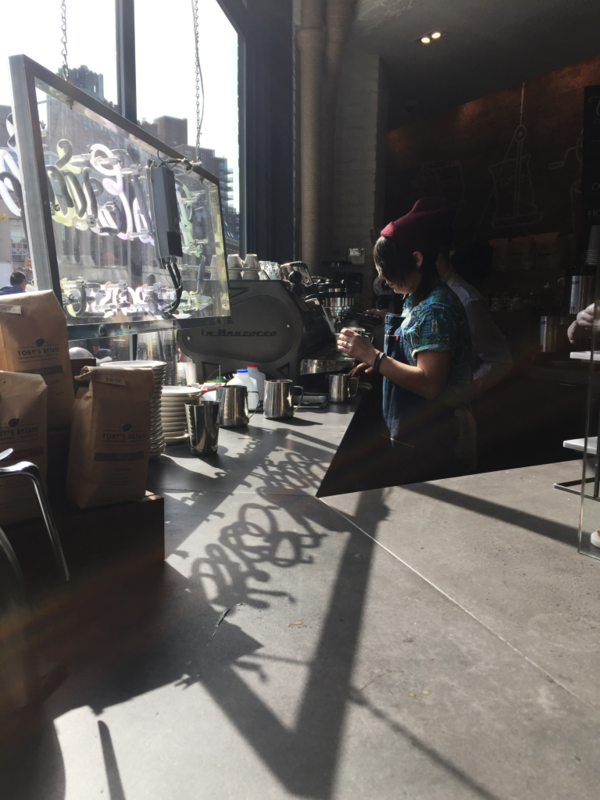 i’m going to go ahead and make the claim that chalait is probably the most instagrammed coffee shop in the west village. the space is a dream. first of all it’s on a corner, so hello to windows that let in an exorbitant amount of natural light. the ultra light beams this corner experiences enhance the already appealing bright and white aesthetic of the shop. 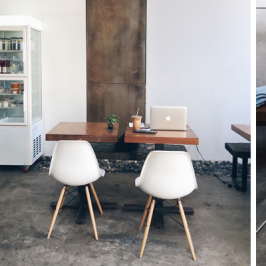 add in the contrast of black stools, and deep green matcha to the equation, and hello, you’ve got instagram heaven. oh yeah, i can’t forget to give a shout-out to their open face sandwiches. each one of those is delectable to both the eye and palette. every. single. one. is always ready for its close up. if you get anything matcha from here you won’t be disappointed. 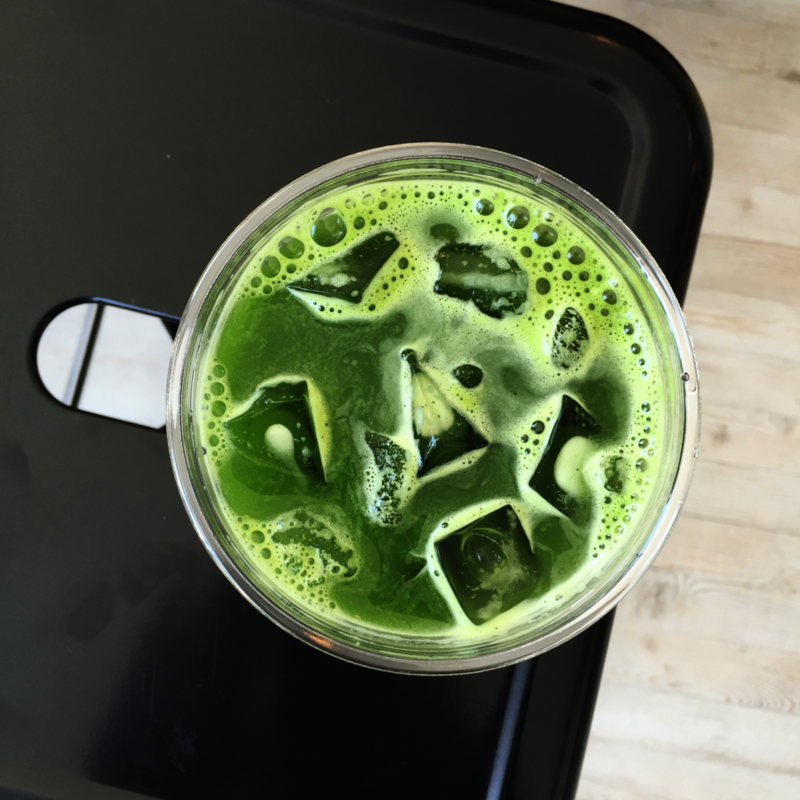 i am a big iced drink drinker, so for my first visit i naturally opted for an iced matcha fizz. i was not disappointed and get it each time i visit. 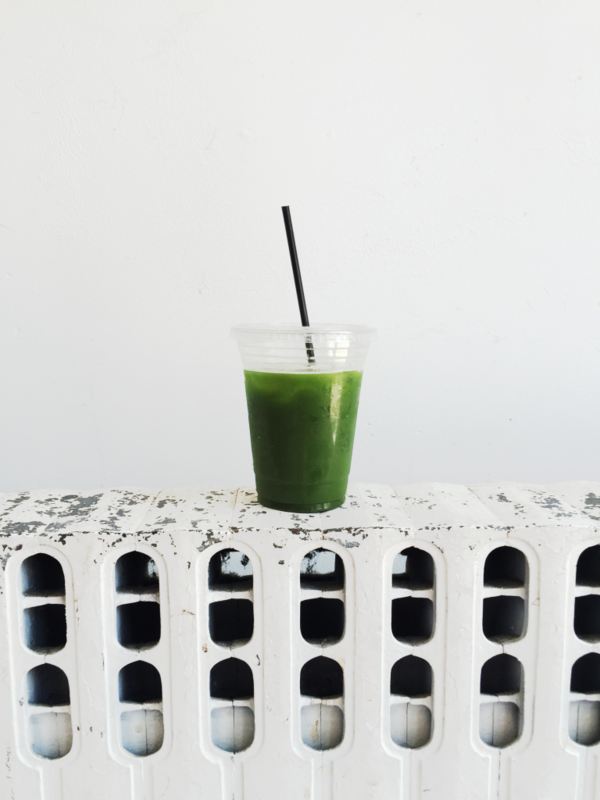 side note: i say get matcha here, because you’ll be getting your coffee fix in about two stops. second stop, dominique ansel kitchen. the second space, created by cronut brainchild dominique ansel, is a feast for all of your senses. whatever your preference, sweet salty or somewhere in-between, there is something for everyone. a lot of places like to make this claim, but da delivers on it. they’ve got monthly creations that are always a must-try, but something to keep in mind as you order is – you can never go wrong with anything on the menu. no joke. it’s all delicious. just go with your gut instinct. my personal sweet favorite is the made-to-order chocolate mousse, and for something savory, the edamame avocado toast or garlic croissant hits the spot. another huge plus about this place is that the quality and taste of each item is consistent, and for the goods you’re consuming, everything is very reasonably priced. in the neighborhood on a summer weekend? well then you must try their soft serve. 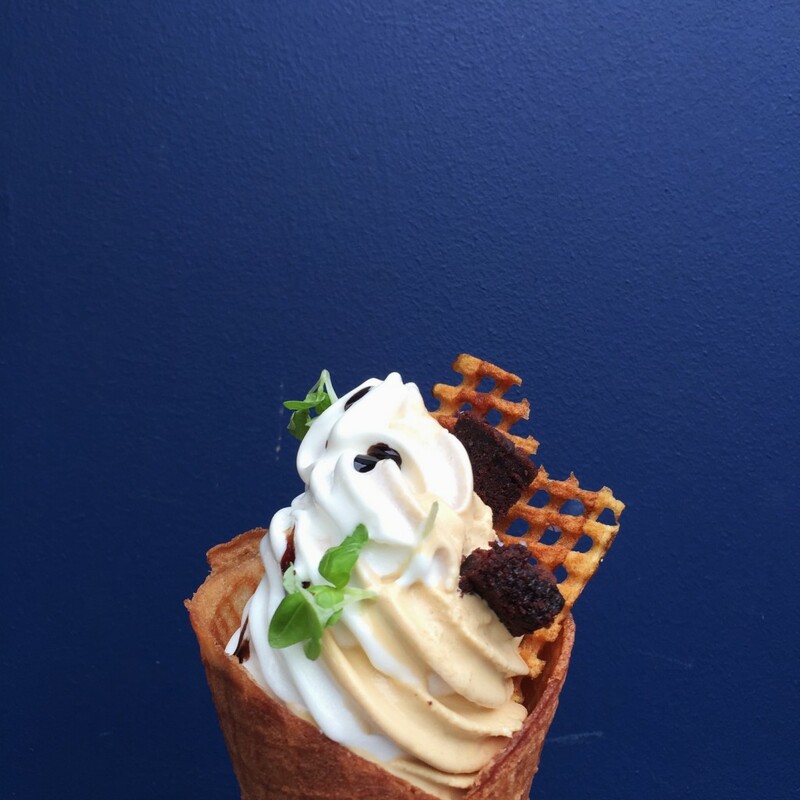 their soft serve marries items like burrata, potato crisps and chocolate together in the most delectable way. not only is the food spectacular, but the man, the myth and legend himself is incredibly kind. on a recent visit, my sister and i brought our mom to the kitchen and she was able to check off a major item off her bucket list – meet dominique ansel. our mom is a super fan, and with each visit she makes, we always make sure to stop by one of his outposts. she’s always hoping to catch a glimpse of the famous creator, so she was thrilled to be able to have a nice chat and photo taken with him. he was incredibly gracious and patient with her – i’ll never forget that. your last point in the trifecta, toby’s estate coffee. 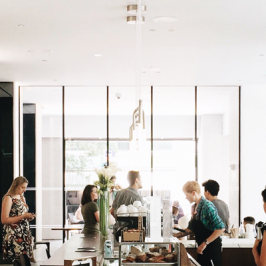 across the street from dominique ansel kitchen, you’ll find some of the city’s best coffee at toby’s estate. i love each and every toby’s location (love note here), but their west village spot is something special. 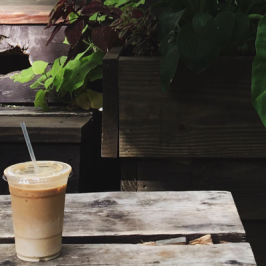 it’s corner location, on a quaint street of brownstones, sets the tone for some of the most relaxing coffee shop vibes. sitting in this space will leave you feeling as if everyone around you is whizzing by at a 100 mph while you sit, at the windowsill, enjoying every sip of your coffee. the space itself is light and bright, and while it’s on the smaller side, there’s quite a bit of seating. take a seat, and whether you’re solo or with a group a friends, let yourself get lost in the moment. sip slowly and enjoy every last drop. this space was made for lingering. so try to visit within the next two weeks to enjoy the fully intact west village trifecta.